"Late spring snow." 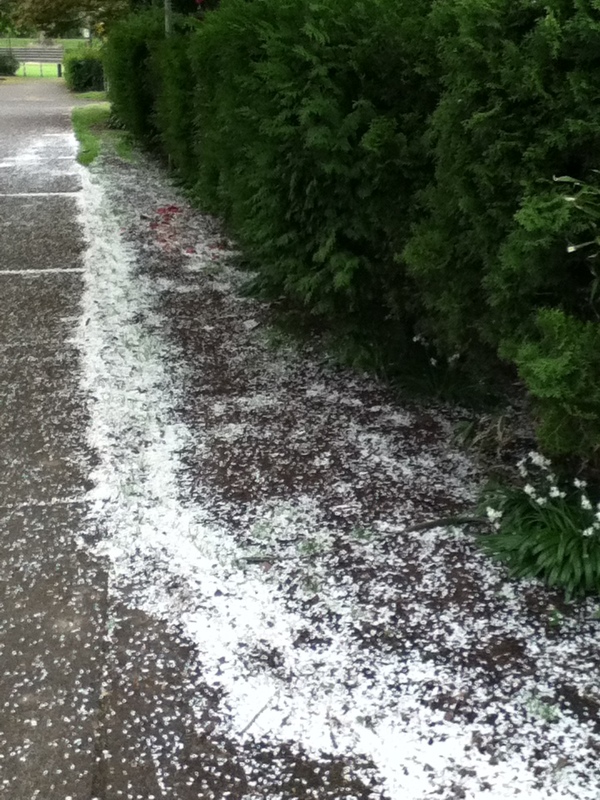 Cherry blossom petals on the sidewalk, Portland, OR, 24 April 2012. 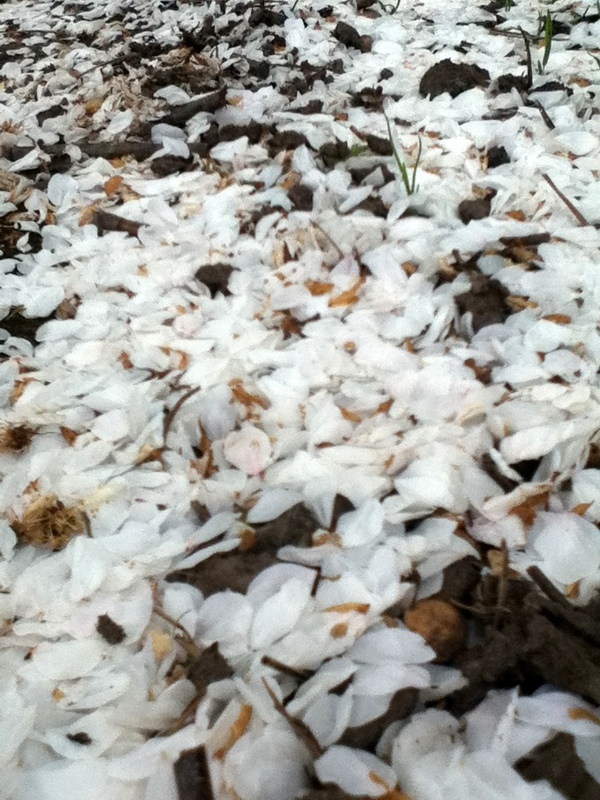 I love the illusion of snow as the petals fall. . .